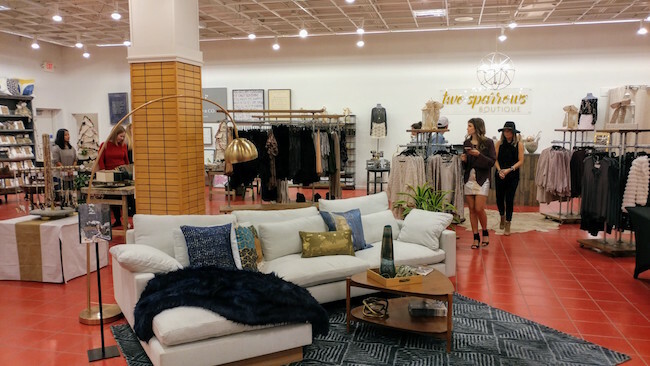 Shop Local this Holiday Season at these Birmingham Retailers! 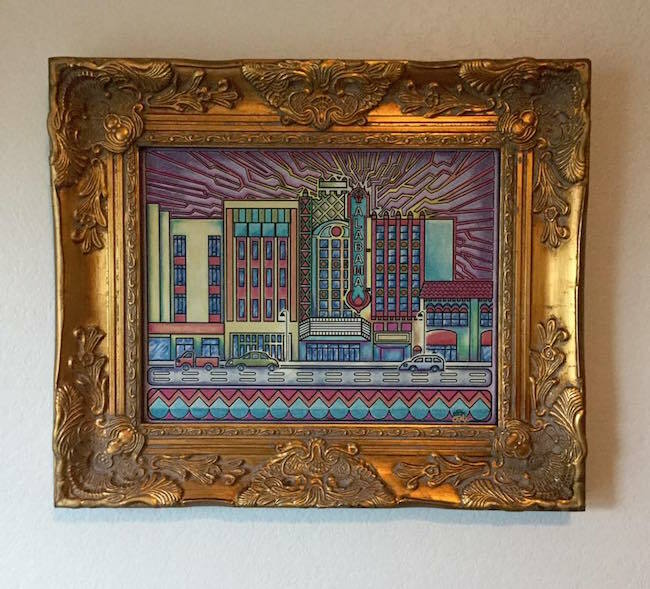 Shop Local and Get Some Great Birmingham Gifts this Holiday Season! We always encourage people to shop local and are often asked about Birmingham Gift Ideas. With everyone’s busy holiday schedules, we thought it’d be fun to highlight a few places in Birmingham that feature multiple Local Makers! These shops have a great selection of items that are sure to put a smile on someone’s face! The best part? Since these shops host an assortment of Makers, you won’t have to fight traffic hopping from shop to shop! Birmingham has our own famous “Big Guy with a Beard.” That’s right, Vulcan! Incase you haven’t heard, “The Anvil” gift shop got a facelift not too long ago. Whether it’s a handcrafted Vulcan Mug, or some Vulcan Socks (a crowd favorite!) there is no shortage of cool local gifts to stuff stockings! This year they are even selling candy from Birmingham Candy Co.! 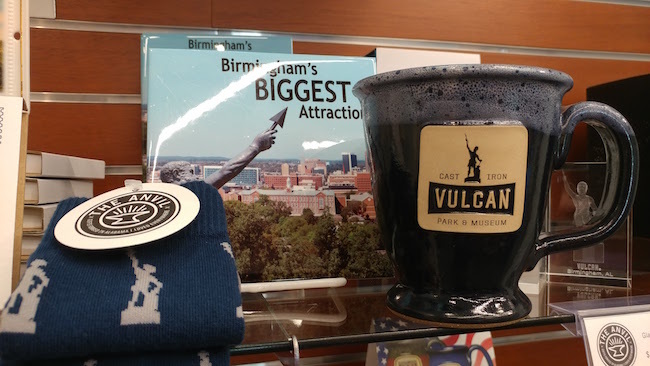 Since we are on the subject of cool local gift shops, we can’t forget about the Birmingham Museum of Art Gift Shop! Get a Birmingham themed coloring book by Down in the Ham or some Alabama shaped soap from Infinite Soaps. This shop is a good blend of local items and cool art themed gifts that make for fun and often funny presents! 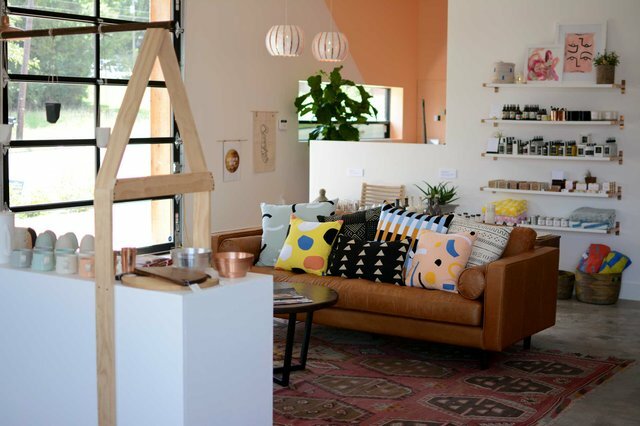 Recently featured in The NYLON Guide to Birmingham, Winslet & Rhys is located in the MAKEbhm building in Avondale. They have a great selection of local fashion and accessories! Some of our favorites are items by 1871 Project and Alabama Sawyer. Shopping for a new mom? They have trendy teething necklaces that are so cute even non-moms are buying them! As an added bonus, they are located next door to Big Spoon Creamery, so be sure to pick up a tasty treat while you are there! 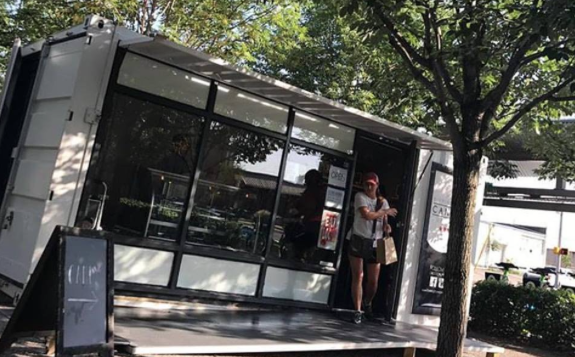 Started by Eric Tasker, SmallBox Co. is a series of small shipping containers that house local startups! Currently, there are two at Railroad Park near Good People Brewing Co.. The first is home to Infinitely Posh BHM. This is a collab between Infinite Soaps and Posh Beauty Bar. From handcrafted soaps and bath-bombs, to makeup and beauty makeovers, there’s a lot going on in this tiny box! The second box houses Wolf & Rose. Wolf & Rose specializes in boutique fashion and features some unique clothing. We found quite a few funny totes and tees as well! Between all three of the SmallBox shops you are sure to check more than a few boxes on your Christmas shopping list! It’s back! Returning for its second year, The North Pole at The Summit houses some of the most creative Makers in Birmingham! This year it is located by the movie theatre, so there’s plenty of parking and easy access from the back entrance to The Summit! One example of a local brand that's represented is Birmingham Candy Co. If you want to impress friends, family, coworkers, or even clients, go visit Wayne and Cassie Bolden and buy some handcrafted candy! They have truffles, pralines, AMAZING Candied/Caramel Apples (mom’s favorite! ), and more! You may want to buy extra so you can do some snacking of your own! Fun, festive, and delicious! Original B’ham, Two Sparrows Boutique, Sugarboo & Co., are a few of the other Local Makers located in The North Pole this year! This is the place to go to get your Original B’ham merch including buttons that say “James Spann is my homeboy!” The best part about this location is that you can still “Shop Small” while hopping between larger retailers! 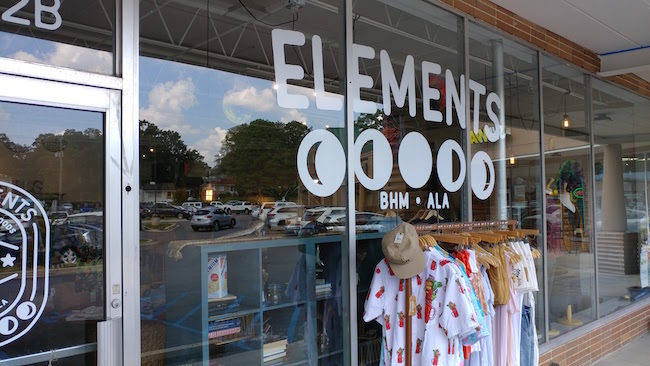 Joining in the Crestwood-boom is Elements, a carefully curated local shop full of Bham Makers! From Small Woods Studio, to CityBee Company, there’s a huge selection of local goods including crafts, fashion, journals, and skin care products! All local! They are located in the same shopping center as Seasick Records. You’ll be amazed at their selection! You’ll also receive 20% off of one (non-sale) item just by mentioning their new website! 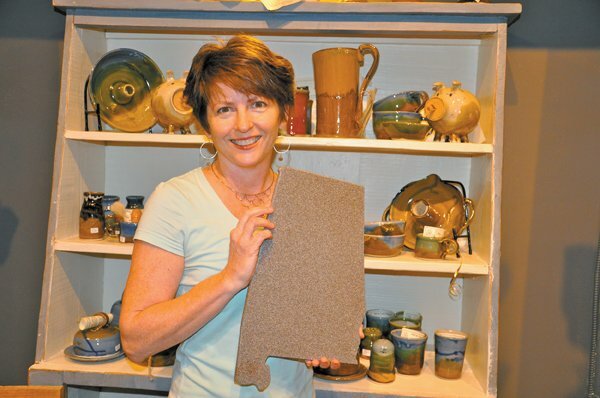 Located in Downtown Homewood, Alabama Goods offers up a variety of items made by Alabama Makers! Art, Food, Crafts, you name it and they probably have it! The items come from all over our state, so you can support artisans throughout Alabama! This shop puts the AL in Local!